That’s what it means when a copyright notice states, “All rights reserved.” It’s legalese for Hands off. Mine. Otherwise? The owner is the owner. You can also offer others a limited license to some of your underlying rights. It’s like offering to rent them a room in a building you own. You can offer them a license to publish or distribute the work in a particular language, like English or Tagalog, or all languages. Or a region, like Ecuador or South America or the world or throughout the universe. Or for a particular term of time, like a year or ten or forever. The license — the rental agreement, if you will — gives them, the licensee, certain privileges with regards to the (intellectual) property, but it doesn’t mean they own it. And the license can be exclusive — which means that the copyright holder won’t use the licensed right or allow into anyone else to use it — or non-exclusive, which means that just because the copyright holder is allowing the licensee to use a particular right doesn’t mean that the owner can’t go ahead and license it to someone else. 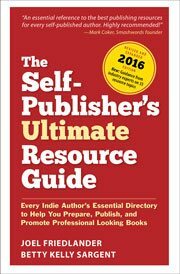 When you publish through KDP (or iBooks, or NookPress, or IngramSpark, or any other retailer or distributor), you are granting them a license to sell the book on their website (or possibly to distribute it to other retailers). There is no transfer of copyright — basic ownership of the content. The author still owns that. Usually, that license is non-exclusive. Sometimes, as with KDP Select, it’s exclusive —for that particular format (i.e., ebooks) in that particular territory (i.e., the world) for that particular term (i.e., 90 days). iOnce the 70 years is up, the work is released into the public domain. So any work by someone dead more than 70 years (or that was created before 1923) is considered fair game. By the way, if there’s any question about who created the work — whether because it was collaborative or because there’s some dispute — you need to contact a lawyer. What are you doing here? iiYou can also use a particular licensing scheme (such as a Creative Commons license) that allows certain, limited rights in your work to anyone who meets certain criteria spelled out in the license without having to ask your permission ahead of time. ivThis used to be standard practice: the publisher would register copyright in its own name. Changes in copyright law made that a no-no. The copyright should always stay with the author. Another walk-away signal? Lack of any reversion clause. Because at some point, you may want to end the license, and the procedure for doing that needs to be laid out in the license agreement. Authors should keep in mind that the so-called “poor man’s copyright” provides zero protection.